Having firm faith in the goal of education as envisioned by Swami Vivekananda, our Vidyalaya always endeavours to gear up all its resources and means to feed the growth of a character in every possible aspects. Moreover, keeping pace with the paradigm shift in the education scenario and repeated insistence on child-centric approach to teaching learning situation, our school takes care in designing and promoting a curriculum that can address diverse needs and interest of the growing child. Our teachers try to render joyful teaching-learning experiences through execution of activity based transaction of learning. Models of activity vary based on the given subject and content. Our teachers relentlessly try to modify models and schemes of learning experience depending on the need and aptitude of learners. 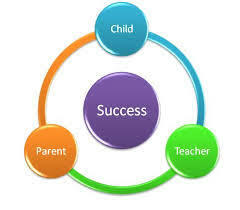 Our school also intends to create good citizens, possessing sound health and mind in students. These school activities are designed to build the strength of character and foster camaraderie among them. Sports and games classes are not intended simply for fun and mirth, but also with the intention to create team spirit, sportsmanship, sound health and exploring and enhancing skill of resilience among children. School Magazine, News-letter, Wall Magazine, Collage Art etc.